above all, enjoy the experience of creating live music together. We are fortunate to engage various guest conductors to provide a range of programmes, styles, and musical experiences. We are a welcoming orchestra whose size (typically 55–60 members) and composition changes according to each term’s programme. To broaden the repertoire the orchestra occassionally joins with other musical groups, such as local choirs. The orchestra is a registered charity which is funded from member subscriptions, concert door takings, and the valued support from various organisations. 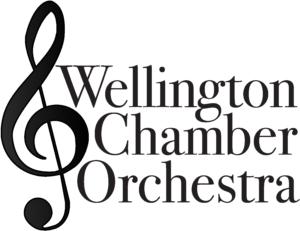 We are especially grateful for the support we receive from Orchestra Wellington and from the Wellington Community Trust. Like many such organisations, we are dependent on assistance, grants and sponsorship in order to continue to provide a quality educational and cultural service to the community. If you think that you may be able to help support what we are doing, please contact us.